You are here: Home / health and fitness / It’s Pink October! Did you know? that the month of October has been made the official world-wide Breast Cancer Awareness Month since 1985. 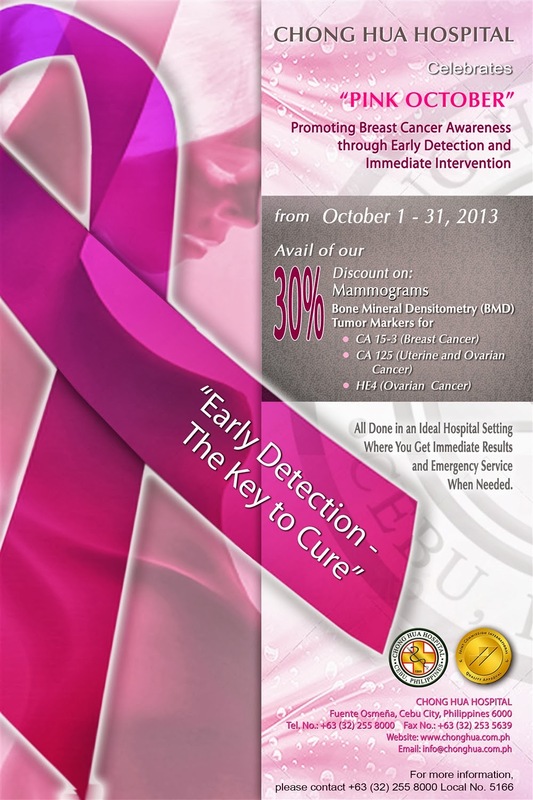 Its aim was to promote Mammograms as a significant component of early detection and breast cancer survival. Why Pink is the color associated with Breast Cancer? It is because the occurrence of the disease is predominant among women. Hence, it also known as “PINK OCTOBER”. 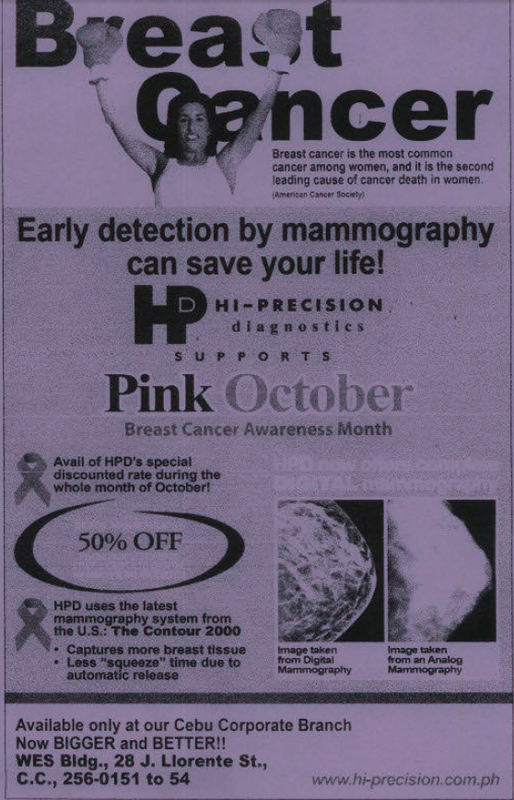 Speaking of tools and detection, Chong Hua Hospital and Hi-Precision Diagnostics are now offering BIG DISCOUNTS on Mammography just for this Month of October. If you have a family member or a friend who wants to avail of this promo, you can directly call them.